Local based production company Level Up Records recently release a dancehall inspired musical tribute for the Alliance Governor Bounty Killer in commemoration of his outstanding contribution to the local music industry. The single entitled "I R The 1" features vocals from female international recording artist Cleopatra. The song was recorded some 2 years ago in Jamaica but according to Mr. Douglas CEO of Level Up Records the timing wasn't right back then. "I made the riddim for the song 2 years ago but the vibe wasn't right, I wanted to release it when Bounty was at the Forefront of his career and I feel he is on a serge again".Level Up further stated that Bounty Killer has done alot for dancehall and a tribute was more than necessary. "Bounty Killer is a living musical legend who recreates dancehall in every aspect. 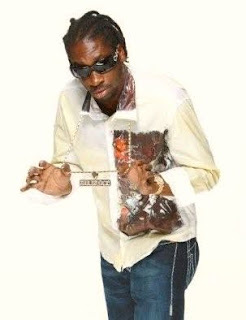 He has built alot of talented artists to rise to the Level of success and as far as I am concerned he should be recognized for his musical achievements and inspiration to the youths just like how we recognize Bob Marley, straight up Bounty Killer is the most influential dancehall artists of this time". Music is what we dealing with. Level Up !With his career spanning over a decade Bounty Killer has seen it all and survived the worst. He has had a successful 2009 with exceptional performances at major events such as Reggae Sumfest, ATI Temptation Live and Champions In Action. Many are speculating that come December Bounty could bring yet another historic stage performance to the biggest one night dancehall stage show Sting.